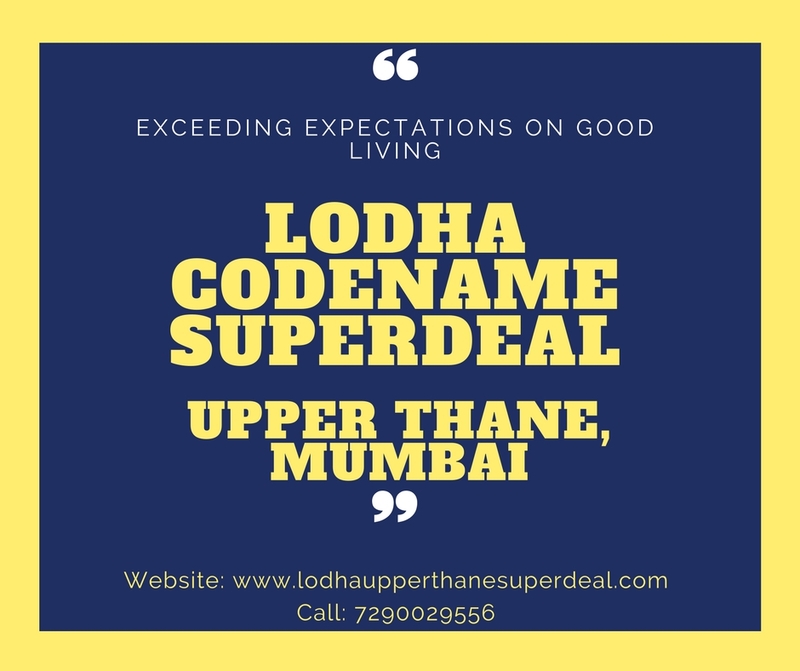 Well-known name in the Indian realty industry, Lodha Developers has launched its latest modern township project called Lodha Codename Superdeal, stationed at one of the most developed suburbs of Thane in Mumbai. After the success of Lodha Palava, this is the second Smart Greenfield City project from this reputed brand. The developer aims to create a sister city of Thane which shall hold one fourth of the population size served by TMC. Stretched across an enormous 1000 acres of land parcel, the development offers 1 and 2 BHK meticulously planned residential apartments. The homes vary in their size and dimension in order to meet the needs & requirements of all classes of people. Apartments are nicely accommodated into G+14 residential structures with 6 units on every floor. The apartments are high on space and offer you a luxurious lifestyle filled with comfortable & elegant amenities. They offer you lovely views of the Ulhas River, Yeor hills, and are designed in a way that matches your sophisticated lifestyle. There is a grand entrance lobby along with high-speed elevators and a separate access for the physically disabled. . The carefully planned integrated township is a home to several fabulous external amenities that makes life completely awesome by keeping you fit, active and entertained every day. The plethora of accelerating features include a modern club house, well-equipped gym with latest equipment, play area for children, rain-water harvesting, complete electricity, water supply, sewerage treatment plant, and 24-hour video security for the safety of the dwellers . There is a huge expanse of charming greeneries that is a feast for your mind and body. Strategically located at Upper Thane, Mumbai, the project site is well-surrounded by amazing social infrastructures like renowned schools, colleges, hotels, restaurants, offices, malls, banks, etc. The Majiwada Junction is approximately 6 kms from here. Available at comfortable rates, the Lodha Superdeal price list starts at Rs 55 lakhs and gradually extends up to Rs 85 lakhs, backed by pocket friendly payment plans. Stashed with modern amenities and excellent infrastructure, homes at Lodha Superdeal Upper Thane are an attractive option for a strategic investment in a place like Mumbai.